Tsukiji Fish Market is one of the biggest fish and seafood markets in the world. There are 820 wholesalers and intermediate wholesalers treating about 500 items a day! 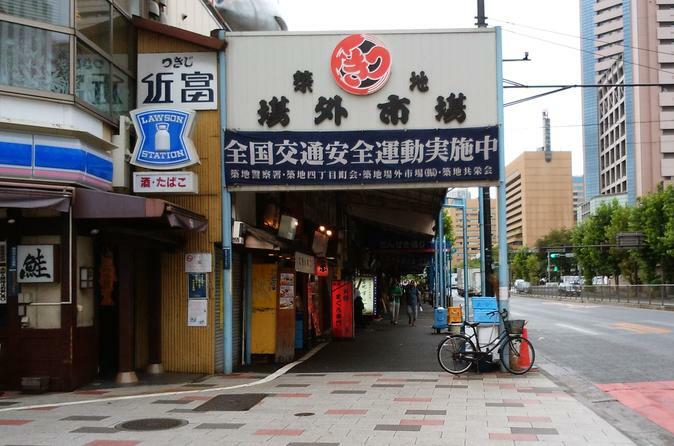 Tsukiji Market consists of two markets: the inner market and the outer market. The inner market is for mainly professionals. The outer market welcome ordinary customers and visitors. We will show you around the outer market. They sell fresh fish, traditional Japanese food, kitchen wares including knives and so on. Of course, there are many good sushi restaurants, you can enjoy shopping and eating there. Meiji Shrine, a Japanese Shinto shrine, is in beautiful ever green trees although it is in the middle of Tokyo. You can refresh yourselves in a quiet and peaceful atmosphere. After being relaxed, we head for Takeshita street, which is only about 10-minutes’ walk away from Meiji Shrine. It is lined with many cute, inexpensive shops. You can enjoy real Tokyo here. Then we move to Asakusa to visit Sensoji Temple which is a landmark in Asakusa and the largest and oldest temple in Tokyo. You can also find a variety of traditional Japanese souvenirs at pretty shops lining the approach to the temple.